Caption: "Of course you feel great. 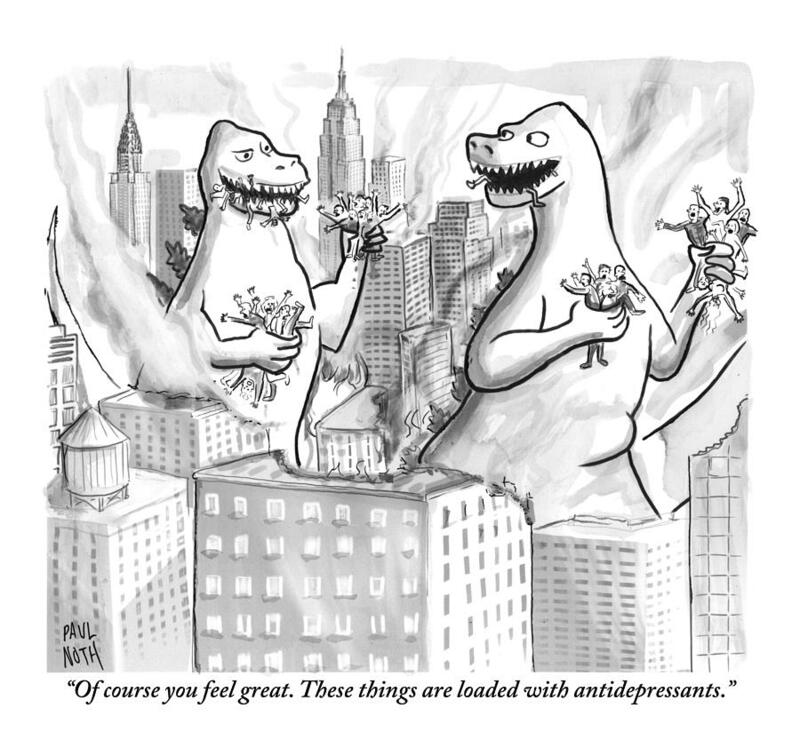 These things are loaded with antidepressants." 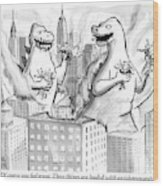 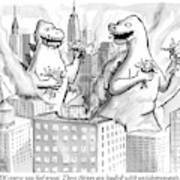 Description: Two Godzillas talk to each other; each holds bunches of human beings.